I had originally planned on reviewing this board using its stock firmware, and showing off the app’s control functionality, but I failed to get footage of the app working before I flashed to my custom firmware. I downloaded the updated stock firmware from the LinkNode Github page (https://github.com/delongqilinksprite/LinkNodeR4-app) , but was unable to get this code to work as the original code worked. After entering all of the correct information, and spending several hours debugging and troubleshooting, I determined that there was something on LinkSprite’s end that was not sending the correct packets back to the LinkNode R4, and watching the serial monitor confirmed this. The code was hanging at a section of the code where it awaits a response from the LinkSprite Cloud, and then stores the response in a txt file on the ESP8266. 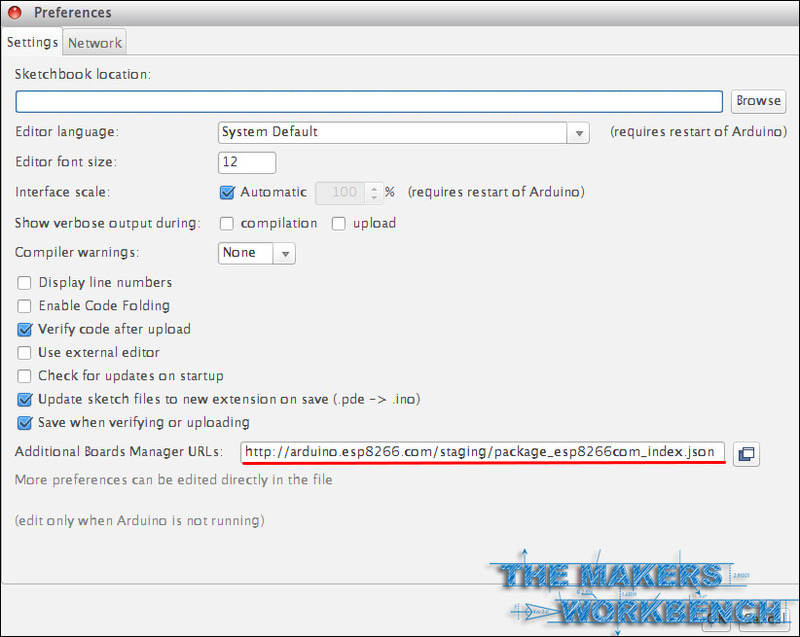 Follow the steps below to download the Arduino IDE, and prepare it to program the ESP8266. 1. 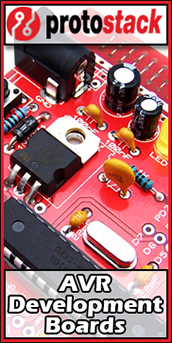 Download the latest version of the Arduino IDE here. 3. Enter this URL “http://arduino.esp8266.com/stable/package_esp8266com_index.json” into the Additional Board Manager URLs field. 5. Then search and install the esp8266 platform (and don't forget to select your ESP8266 board from Tools --> Board menu after installation). 6. Double check the board configuration and match it to the image above. 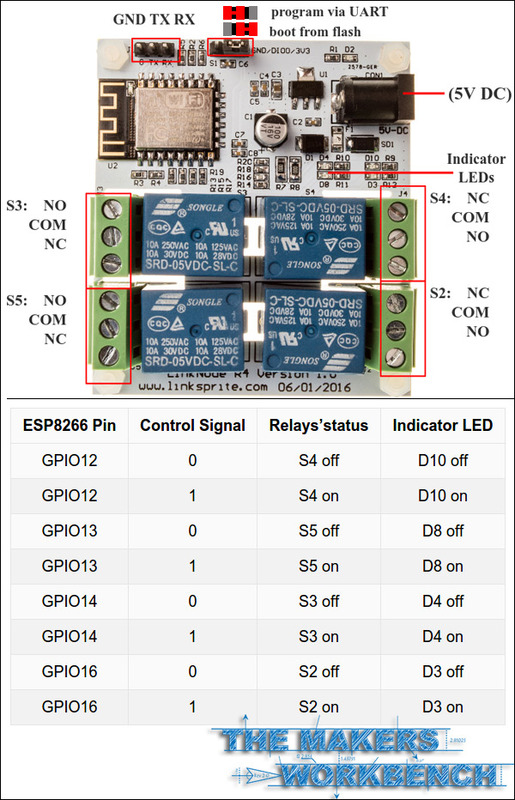 The LinkNode R4 has not been added into the official ESP8266 Arduino core repository yet, and this means that you will not find it listed in the ESP8266 board list. 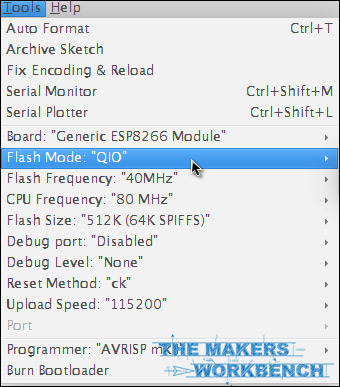 Don’t worry though, you can just Generic ESP8266 Module, and then set the Flash Mode to QIO. 7. Remember to set the port that your FTDI cable (http://amzn.to/2h7PdEz) is connected to,and then connect its TX, RX, and GND pins to the corresponding pins on the LinkNode R4. This number will vary from device to device, and may change every time you plug in the cable. Also remember to set the jumper pin from the boot from flash position to the program via UART position as shown in the image above. If the pin jumper is placed on the left and middle pins, it is ready to program. Remember to set this back to the boot from flash position when done. 9. That’s it! 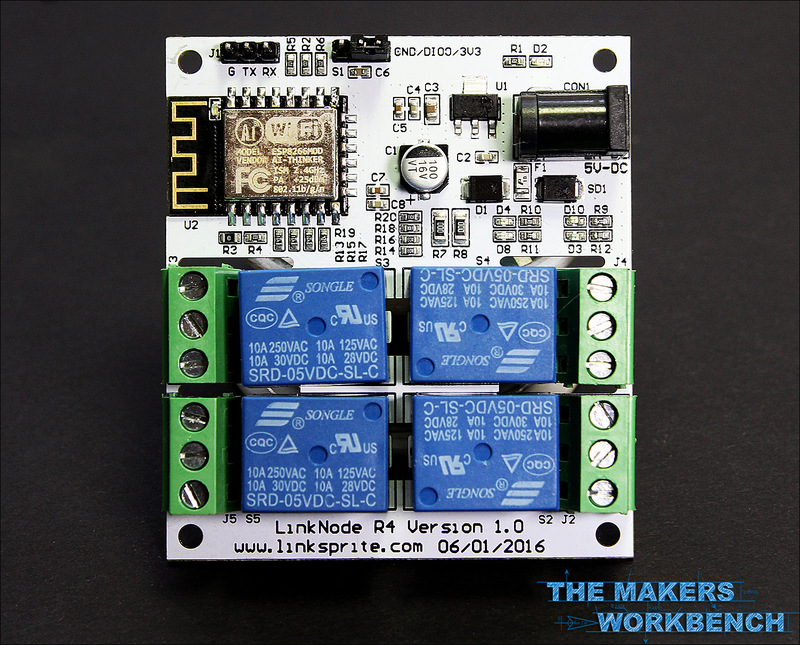 You are now set up to code the ESP8266 on the LinkNode R4 using Arduino code and the Arduino IDE. I did experience a memory error when uploading to the LinkNode R4 after uploading my code a few times. I am not sure why this happens, but it is a bug on every ESP8266 board that I have used over the past couple of years. If you experience this issue, just unplug the 5V power source, and the FTDI Cable, then reconnect everything and try again. It usually works after this is done the first time, but it may take a few tries. Controlling your LinkNode R4 with Amazon Alexa and the Echo Dot. I will not be sharing all of the files needed to get the LinkNode up and running with Amazon Alexa here as it would be a lot of code. Please visit my GitHub to download a zip archive of all of the necessary files needed. Note that the code below will not compile, or upload without these additional files, so head over to my github to grab them all. I will share the main Arduino sketch that I used so that you can have an idea of how everything ties together. I won't break down the entire code, but I will point out that I am creating four callbacks with unique names, four switches with unique names, and four integers which define the relays. I am also defining four unique invocation names for Alexa to understand, which are mapped to separate ports on the web server, and each unique invocation name has two settings, On and Off. 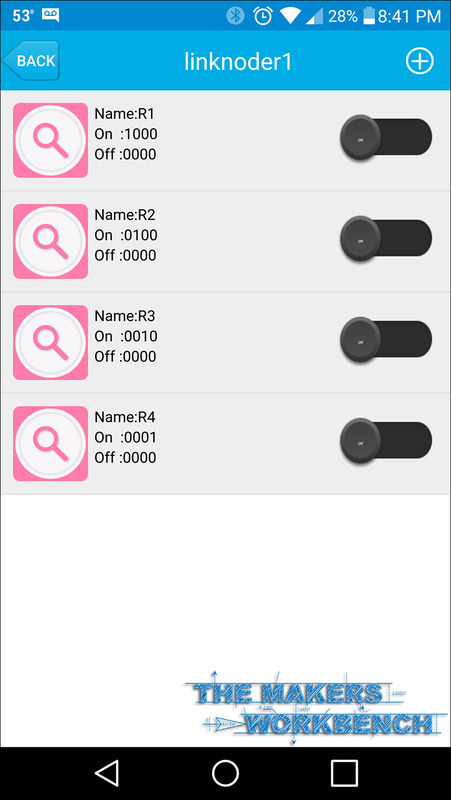 Finally, I set the pinmode for each of the four relay pins as an output. Then it is as simple as setting up eight different functions for each relay. When Alexa hears “Turn on lightOne” for example, the ESP8266 runs the lightOneOn function. There is a lot more that goes on with the code that handles the FauxMo Belkin WeMo emulation, and to be quite honest, I am not fully sure that I understand every aspect of it just yet. I do know that it works, and adding new devices (up to 14 is supported by WeMo and Alexa) is as easy as duplicating the things I mentioned above, and giving each new device a unique name. So without further ado, here is the Arduino sketch that makes the magic you saw in the video above work. Remember that this code is useless without the other five files that can be found on my Github repo for this project. So that is going to wrap up this project for now. If you are interested in seeing more videos, and reading more tutorials / reviews like this, please head over to my YouTube Channel, and click on the subscribe button. Also remember to click the like button on the video above, and to leave me a comment on what you thought about this project. Stay tuned for more Amazon Alexa, and Linknode R4 related content. I have a whole series planned out, that will culminate in my entire office being automated. If you would like more tutorials such as this, just let me know in the comments. 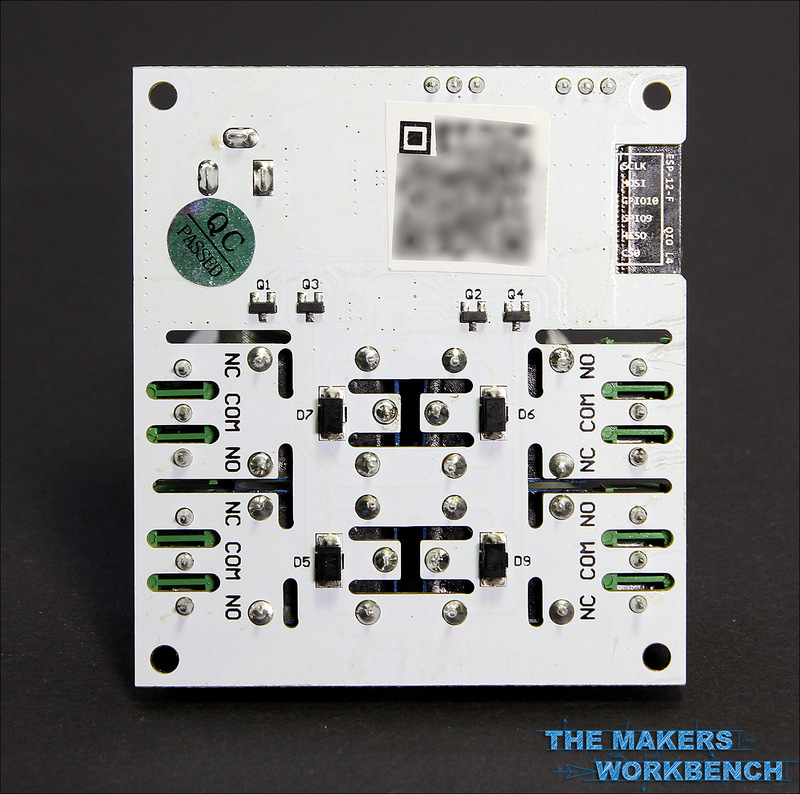 Additionally, if you would like to see more tutorials like this, as well as the more of the other types of articles we post here at The Makers Workbench, head over to our Patreon page and consider donating monthly to help us keep the lights on. Every donation counts, and with your support, we can continue to post a couple of tutorials each week.